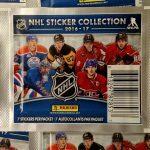 Recently, I completed my 1990-91 Panini hockey sticker set. For some reason, I never got around to getting the last two I needed, Patrick Roy and Andy Moog, until now. I used to buy Panini stickers diligently “back in the day”. They were easy to find, as most drug, convenience and grocery stores carried them. They were also very affordable; a pack of six stickers cost about a quarter or thirty cents. 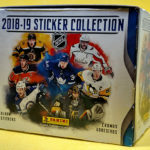 Finally, the sticker sets were larger than most hockey card sets–and all teams got “equal treatment”. 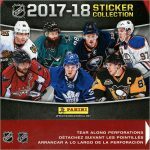 Meaning, if there were 16 Blackhawks stickers, then there were 16 Nordiques stickers–and 16 stickers for every other team too. I think I learned more about hockey during my first few years of fandom by collecting stickers–a lot of players were featured, and many times other aspects of the game (rules, signals, all-stars, stadiums, uniforms) were covered. For these reasons, the Panini sticker albums were always a treat to collect. 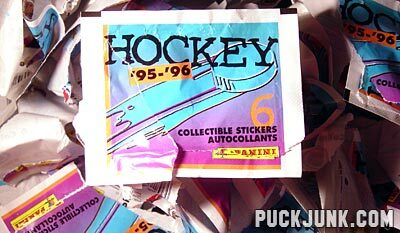 You could even trade with (or buy from) Panini the few stickers you needed to finish your set. I’m not sure why I didn’t just pick these two up for ten cents each back then. I probably forgot all about needing these two when the 1991-92 set came out. 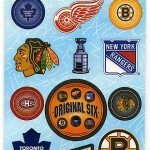 This week, I plan on adding several articles about hockey stickers. Check back every day this week, as I have three sticker-related articles in the queue, ready for your enjoyment. First up is an article about where my hockey memorabilia collecting all began.